SHINGLE SPRINGS, CA JANUARY 31, 2011 – The Crowley Off-Road Racing Team will be driving the Monster Energy Kawasaki Teryx in the Pit Bull Tires UTV Race at the Griffin King of the Hammers Thursday February 10, 2011 at Johnson Valley, CA. “We have competed in this race since its inception, and I am looking forward to another challenge. Adding more rock obstacles to the desert course really makes it where we have to work at getting to the finish line,” said driver of record Jon Crowley who has finished every year. 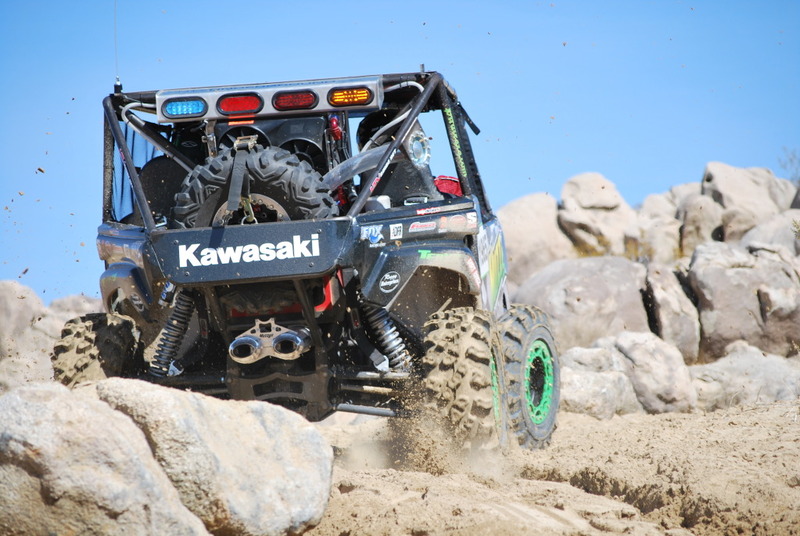 After completing the 2010 VORRA race series in their Monster Energy Kawasaki Teryx, the Crowley Off-Road Racing team went right to work preparing for the first big race of the 2011 season – King of the Hammers UTV race. First up on the agenda was to freshen up and upgrade the engine. “Although our big bore Muzzys 840cc powerplant served us well last season with three first place finishes, we were excited about bumping that up a bit,” said owner Jon Crowley. 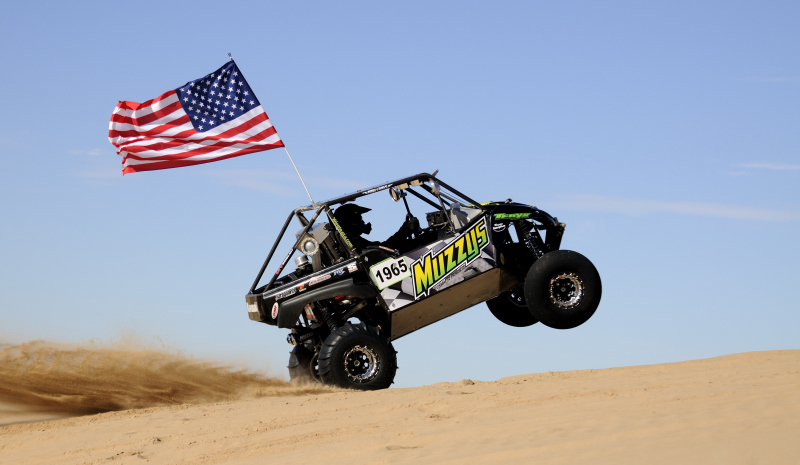 “The Kawasaki Teryx v-twin has great potential to make big, reliable power, and Muzzys Performance Products is the place to make it happen.” For the 2011 season, most UTV race series have bumped the engine limit to 1000cc to allow the Can-Am Commander 1000, Polaris RZR XP 900, Arctic Cat Prowler 1000 and John Deere XUV 825i to compete. After conferring with horsepower guru Rob Muzzy, Crowley decided to push it all the way to the maximum allowable – 999cc. The new engine features a beautiful set of Muzzys 916cc billet cylinders and a stroker crank. The King of the Hammers UTV race will take place in Johnson Valley, CA on Thursday February 10th. For more information, please visit www.ultra4racing.com. Crowley Off-Road Racing Marketing Partners: Monster Energy Kawasaki Team Green, Muzzys Performance Products, Pit Bull Tires, Simpson, Beard Seats, Funco, Fox Racing Shox, OMF, Tire Balls, Rigid Industries, Billet King, Factory UTV, UMP, MSD, MFS, Axia Alloys, Roggy Enterprises, Rugged Race Products, Wicked Bilt and Royal Purple.